You are here: Home > AT&T Talking To Rivals About Asset Sales To Save T-Mobile Deal? 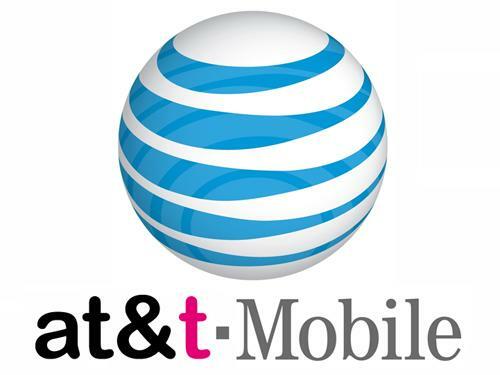 AT&T Talking To Rivals About Asset Sales To Save T-Mobile Deal? An early morning Bloomberg report indicates that AT&T has already begun approaching its smaller rivals including MetroPCS and Leap to sell both spectrum and customers in an attempt to save its T-Mobile deal. Along with its smaller rivals the Bloomberg report also indicates AT&T has reached out to CenturyLink Inc., Dish Network and Sprint to also determine their interest level in possibly acquiring assets in order for AT&T to push their deal through. These talks are currently in a preliminary stage as AT&T is likely trying to feel out the stances of their competitors regarding possible asset divestitures that may be required for the Justice Department to withdraw their lawsuit. This report comes just two days before AT&T and the Department of Justice are scheduled to meet in court on September 21st to explore whether or not a settlement can be reached. Spokesmen for AT&T, Deutsche Telekom, MetroPCS, Leap, CenturyLink, Dish, Sprint and Bank of America all declined to comment for the Bloomberg article. ← (Update) T-Mobile Holding “Values Day 2011” September 24th? bottom line is even if the gov blocks this deal the waited too long to do so the company tmobile is almost a lost cause unless dt plans on investing more money in tmobile in which i do not believe there investing any more into tmobile us. so the fact that the gov responded this way is good but they waited too long. and tmobile is a sinking ship. maybe for you, if you are that unhappy, don’t let door hit you on the way out! Tmo increased customer base last 3 months. They are not a lost company. If u dont like working for them then hit the door. Negitive employee equals poor cust service. I agree I am an employee. All the employees who make comments complaining about their job and bashing Tmobile need to just quit. first im not a disgruntled employee and if i was tmobile made me that way the whole purpose of a forum it to voice your opininions about the topic i did exactly that how can you get mad about my opinions and if alot of people are saying stuff about tmobile its probably right dont get me wrong tmobile was a great company to work for but its goign down hill you need to recognize that and stop acting like this is new news. if you work for tmobile then you know there focus has shifted from voc ( voice of the customer) to Vob (voice of the buisness) it stopped being about the customer and started being about the company completely. not only that we no longer focus on quality of the calls but on how fast you can get them off the phone crt and iocr is the main focus. if they quit you will be taking alot more calls by ur self. Why quit when the firing sprees are still happening. no it does not its when your employees morale is low. and its like that all across the center i work at can speak for others but employees are fed up but quiting is never a option so you can forget about it. im here to complain so people can know whats going on. and this is whats going on tmobile is changing there policies for the worst. there willing to sell of there company in peices thats the last thing you do to something you have plans for. im just saying. Sell spectrum to rivals??? The same spectrum they claim they need to build out their network, and the very reason at&t says its buying tmob??? Lol. Yet more proof this is about at&t eliminating a competator; and has nothing to do with the utopia those slick commercials portray.. I saw that same contradictory statement. Alot of that has been going on in this debacle. T-Mobile is, by no means, dead, even if the ATT deal (hopefully) fails. It can be spun off as an independent entity, which can then raise money in the capital markets. It still remains the only other GSM provider in the US, and has rabidly supportive customers, the best customer service in the industry and some of the best pricing. The US market will be well served if this merger is blocked and T-Mobile is spun off by DT. that means nothing unless the customer base is willing to purchase the company. The parent company wants nothing else to do with the us thats the prob if the person that owns the company dont care what happens then its litterally up for grabs for who ever is willing to purchase it. I just hope they take their 6 billion and invest in more coverage. I would dearly like to go back to Tmo myself. Trying to decide if this would benefit me as a customer. P.S. David, please fix typo, it’s is always ‘it is’ thanks! Sell customers to Metro-PCS?, Leap?, DISH?!?! I’m sure glad I’m not under contract. If ‘I’ get sold, I’m leaping ship, contract or not. There’s a loop hole for me and everyone else as well. D rock. There is no loop hole. If the ATT deal falls through then T-Mobile will be sold to next highest bidder. DT does not want T-Mobile USA any more. Blocking the ATT deal will not stop T-Mobile from being sold. DT does not want to keep T-Mobile USA. We will either be sold or allowed to go bankrupt and all assets sold to the highest bidder. The point of people being against this deal is they do not want att to buy T-Mobile due to competition elimination and other stuff. Its fine if someone else buy T-Mobile and still runs T-Mobile as an independent company. Thank you, that’s exactly the point! My sympathies are with you. I have always thought T-Mo was a good company but needed more geographic coverage for my needs. I’ve been without a paycheck for nearly 2 years now (my work’s tied to the construction industry). I don’t want to see anyone without a job. It would be hard to apply for bankruptcy protection when you are still making profits, which T-Mobile USA does. Face it, you have no idea what will happen nor does anyone else yet you and other are talking like you can predict the future. Anyone can file a bankruptcy petition, profitable or not. I know what you mean, but I just wanted to clear that up. It’d be more of a reorganization in this case, than it would be bankruptcy court protection from thirsty creditors. darn I guess at&t didn’t pay those politicians enough so now they have to give up more concessions. 4. Politicos get financial compensation under the table to shut up and objections go away. I just want to see Sprint’s response to this. I find it odd that they didn’t jump at the chance to exploit AT&T this time. It those companies welcome the assets, a settlement will be made. I guess it depends on the price AT&T is asking for them, and if those companies have the ability to pay. The only goal i see here is Att is trying to do what ever it takes to knock off Tmobile from our cellular space…get rid of the only other GSM carrier and are willing to spend 39 billion to do that. Mean while their own internal memo show they will only need 3.9 billion to achieve their LTE plans. So why are they willing to spend ten times more on buying Tmobile??? Well we all hope the DOJ stays firm with the original reasons giving to oppose the buy out and doesn’t fall for all the maneuvering by Att..especially with the talk of selling chunks of spectrum and subscriber list. Seems like another creative way of arriving at their ulterior goal…that of KILLING OF TMOBILE. All Consumers benefit when all the four major carriers operate (two GSM carriers Tmobile and Att and two CDMA carriers Sprint and Verizon) to ensure robust competition and innovation on our cellular space. Amongst the big four carriers at least..i will say Tmobile’s low rates has indirectly helped hold the line on outrageous cellular rates by the others. Lets not forget Tmobile is on the cutting edge of innovation as well…first to stand shoulder to shoulder with Android and probably first to move on 4G like speeds with HSPA+…they have always been on the forefront on what we all are benefiting from today. Exactly right. The primary goal is to kill the GSM competition. Secondary goal is to gobble the assets. Failing the ability to do all that because of the opposition, the tactic becomes to appease them and the government by dismembering the pieces and sharing. Primary goal is still achieved. They’re not worried about customer retention. After all, where else will they go? How long will anybody stay with a dinky carrier with dinky coverage? dt has always been like this, while i was living in europe i always had coverage no matter where i went even in the states. i was happily surprised that they were selling iphones and ipads but i was sadly disappointed that tmo use did have the same offerings. All of these folks will say no. Really, Leap and Metro? Centurylink, Dish? I think the deal will fail at this point. The divestiture option is really not the most optimal….the prime spectrum option is probably not up for sale….so these folks won’t settle…. I think this is my favorite logo mashup so far. Liking the happy font and pink on the Great Satan company name. AT&T will make a deal with who ever they need to, they want to be the only GSM Carrier in this country. If this buy out (TAKEOVER) goes thru, it will give AT&T big, not big but huge profits in the next few years to come. They will squeeze the smaller carriers right out of business. These are just facts, AT&T is a very slick and sleezy company that sticks it to their best customers whenever they can. Call their customer assistance dept. and try to get a straight answer about their HSPA+ Network in your area, you can not. I have been lied to on so many different times I can not, I will not be a customer of AT&T in the future. It is too bad the way they do business, they can do so much better. Being a long time T-Mobile customer I have been with them since EDGE was their fastest data. I am now getting over 8.5 MB on the download and over 3.5 on the upload. These are daytime speeds. T-Mobile has come a long way, I’m hoping they can stay together and find a future in this country as one of our best Carriers. The United States Department of Justice is aware of this issue, and it doesn’t matter with who AT&T makes any deal with, because the rest of the carriers aren’t GSM. The only GSM carriers available in the United States are AT&T and T-Mobile (besides the MVNOs that use AT&T and T-Mobiles network, those don’t count because they don’t have any towers). Any of these concessions that AT&T is planning to do, to save the T-Mobile deal, will not work. Unless AT&T can create a new nationwide GSM carrier, the deal is dead and the DOJ will take AT&T to court. AT&T will either walk away or just lose in court. so the doj wants to destroy at&t all together? this does not even make any sense at all. just think of all the repercussions of this. gsm is a world wide standard and by doing this at&t would lock them out of even more business, economically and customer wise. Something is not right if T-Mobile is not part of this Plan B option. If spectrum, customers and assets are for sale, why doesn’t T-Mobile just get to keep a portion of the company to save the deal? The deal is for the acquisition of T-Mobile. T-Mobile would not be able to keep its assets because they will cease to exist afterwards. Any divestitures made will not even be close to level required to operate an independent company based solely on them. That’s why they go to the other players — small and less small. This is why the deal needs to fail completely, and then have Google swipe in and grab T-Mobile. believe me germans are not as silly as one thinks. they are very prudent, docile but yet aggressive in their business plans. it is like a sleeping dragon that just all the sudden exhales. wow, this is crazy news, if i signup for TMobile, they can later sell me off to crappy little carrier like Metro PCS. Is that even legal? What if your phone does not even work on their network and you lose TMobile 4G, this really does not seem legal. Opps clicked liked well liked it anyway,but if the do can’t sue tmo they won’t exist. That’s why I don’t care what they give away on the 24th. What good is it if I can’t use it in 4 months. And be stuck on a contract with cricket or even worse, no thanks. I will wait till my tmo contract is up in december and go to VZ or sprint. I love the Moto photon sprint has. Played with it at store. Prolly do that. Metro is a no contract provider. Assuming this even happened you can always port out to AT&T or Verizon yourself as a new customer. This is piss poor business moves for AT&T and T-Mobile, do we really want to associate ourselves with this kind of handling? Looks freakin’ unprofessional to me from a business standpoint that is. Otherwise, just go-ahead and roll kick rocks AT&T, your LTE rollout is barely there…keep that crap. Let’s say that the T-Mobile/At&t merger is completed, would current T-Mobile customers be given the option to get out of their contracts? Especially if they start selling customers to others like MetroPCS. t-mobile usa already said in the beginning that their contracts would be honored if they get a contract with t-mobile usa before the deal is signed. this is just per start up phase. this is and was agreed in writing with at&t and t-mobile and any breach of contract would result in huge loses for at&t. come on guys start looking at the legal side of things and not just a hate & hate campaign. it is getting rather boring and starting to sound like little kids grabbing for the last cookie in the cookie jar. I can’t wait for this deal to be over with so the drama queens can get on with their lives. I want LTE and AT&T is giving us LTE early next year in my market. Then go with AT&T and leave the rest of us that DON”T WANT this deal alone! Ha! So you want LTE huh? Did you know that AT&T Mobility doesn’t offer unlimited data plans anymore? Oh and for that matter, neither does Verizon Wireless. What’s so good about LTE if it’s going to be capped? Since the speed is going to be “lightning fast”, guess what… Your LIMITED cap will be gone in just 1 day of heavy usage. Consumers will end up paying outrages fees for data overages. I don’t understand the obsession with LTE, I personally prefer wifi. Wifi is free, faster and available everywhere in large cities. i have heard that Engadget shows the iPhone 4s release news at 5th of October…….. is that write buddy because still iPhone 5 is a Mystry and how they launch a new one iPhone at same day?????????????? i need answer about my Qyestion that AT&T will release iPhone 4s??????????? The answer is: Your an IDIOT! Selling spectrum to the CDMA carriers? This only proves that all AT&T wants to do, is eliminate the ONLY other GSM based carrier in the United States. It’s not about LTE, it’s not about spectrum exhaust, it’s all about competition and FUTURE profits. If AT&T becomes the only GSM provider, the rest of the world (GSM Providers) HAS to make roaming agreements with AT&T and AT&T only. There will be no more interoperability since AT&T would be the ONLY gsm carrier in the country. So AT&T would never have to unlock any of our handsets as there would be no incentive to do so. If any consumer wanted to switch carriers and tried to keep their handset… well guess what? YOU CAN’T! Because there would be no other GSM carrier to go to! That is exactly what AT&T wants, to make sure you can’t go anywhere else without being forced to buy a new handset from other carriers such as Verizon Wireless and Sprint Nextel. Making consumers less likely to leave AT&T. All of these things will benefit AT&T and AT&T ONLY, no consumer will benefit. But what’s the big REAL reason AT&T wants to eliminate T-Mobile? Because T-Mobile is a BIG threat to AT&T. T-Mobile with its compatible GSM technology, low pricing and better customer service, makes AT&T crap in their pants. Especially now that AT&T has lost exclusivity rights to Apple’s popular handset, the iPhone, AT&T has become a desperate dog trying to keep its iPhone monopoly under its hands, because they know that if the iPhone arrives at T-Mobile, (by the way, Apple is already selling the device UNLOCKED and can be used with T-Mobile) their business would suffer tremendously. Isn’t it funny that as soon as Verizon began selling the iPhone in February, a month later (March) AT&T announced its plan to takeover T-Mobile? Of course Verizon isn’t that huge of threat to AT&T, since Verizon uses CDMA and any AT&T customer who leaves AT&T for Verizon, would have to purchase a new handset. Because of the compatible technologies that AT&T and T-Mobile run on, AT&T has decided that T-Mobile was a huge threat to them and therefore want T-Mobile gone at ANY cost possible. Because AT&T doesn’t like to compete, and that’s why this whole circus is going on. T-Mobile wants to sell out? Fine. Just sell to a new company so that we can keep T-Mobile as a separate entity from AT&T, Verizon and Sprint. as far as i know any gsm based mobile can be unlocked, there are tri-band and quad-band gsm mobiles out there. you just have to find and buy it. this is why there is two separate price schemes with these type mobiles. the lesser one is with the carrier of your choice the higher ones is unlocked. this is why i feel that DT should just push at&t to the side and buy then out. in hungary t-mobile (dt) is offering 16gb plans for about 25-35$. imagine that. besides at&t would have to make grandfather clauses with current t-mobile (usa) and that will be a bit of a stumble for them and i really think that they cannot handle this. “M&A Theater”. Somewhat humorous, but mostly GROSS. Deal is dead, swallow hard and move on.